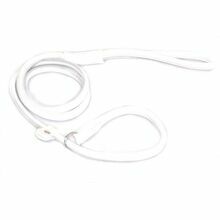 Gundog style dog leads are comfortable, lightweight and durable slip leads that incorporate a slip collar. Popular for gundog and obedience training, working trials and agility they are quick to put on and take off during competition. 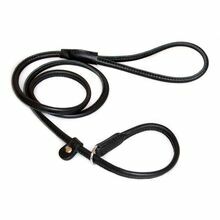 Gundog slip leads are light and compact to fit in your pocket or training bag. 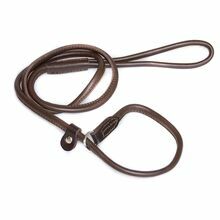 Our premium rolled leather gundog slip leads make great show leads for larger stronger sighthounds and giant breeds, such as Irish Wolfhounds and Deerhounds.